The Ekiti State Governor, Ayodele Fayose was on Wednesday reportedly teargassed by security operatives in the Government House, Ado-Ekiti. 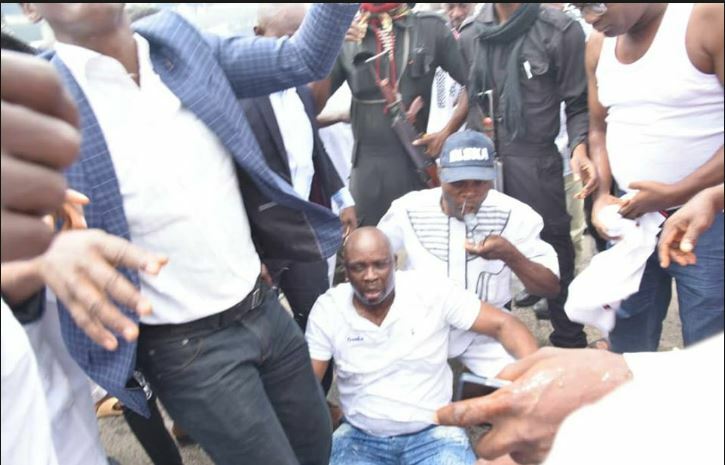 His Special Adviser on Public Communication and New Media, Lere Olayinka who confirmed the incident on Twitter said Fayose was teargassed by the policemen who laid siege at the Governement House and was now receiving treatment at the Government House’s clinic. ”He is currently receiving treatment at govt house clinic after he was hit by teargas canister fired by the policemen. When newsmen contacted Olayinka for further details, he promised to provide more information on the governor’s health in few minutes.